This lifestyle event attracts people from around the world to connect, experience world class musicians, yoga teachers, art,artisans,exotic organic locally grown food, spirituality,healing,sustainability, and agriculture. This is an opportunity to experience the positive lifestyle,education and awareness practices that benefit people and the planet. 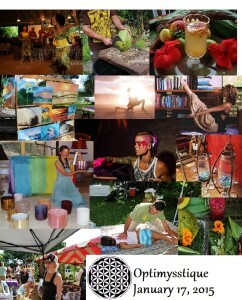 Join us on the North Shore of Oahu for an unforgettable LIFE ENHANCING FESTIVAL! GET TICKETS EARLY! $25-$50 and up. Tickets at the gate are (cash only) $25-$50 and up. No dogs, No camping, Bring shoes and large yoga mats Zero-Waste Challenge * Bring, cups, utensils plates,cups . The venue is a Noni Farm & the beach is close by . Visit Campmokuleia.com for camping.